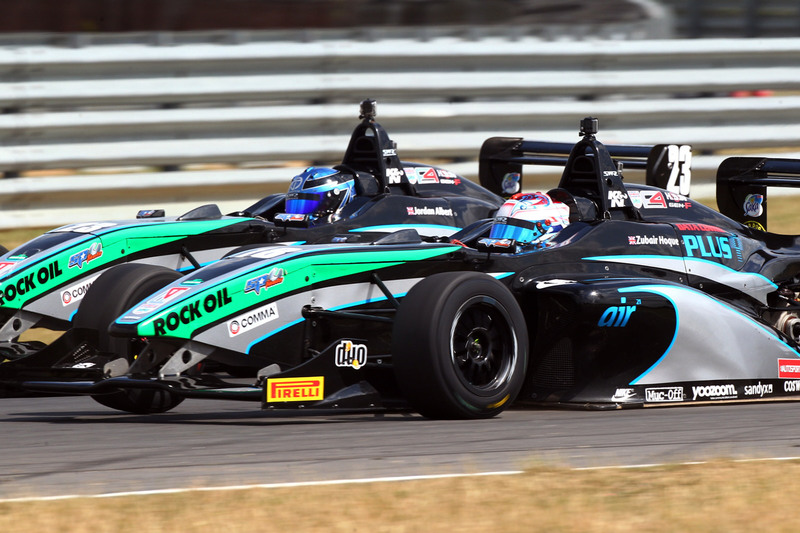 Realistic hopes of a possible race victory were dashed for BRDC Formula 4 Championship team SWR at Snetterton 300 Circuit in Norfolk over the weekend, 11th/12th July, as series front-runner Jordan Albert had to settle for a brace of top five finishes instead. With the fourth race meeting of the season impacted by rainfall on day two, tyre choice played a pivotal role in round 11 and Albert was on course to potentially grasp his second race win of the year until the drying track worked against him during the latter stages. Spanish newcomer Marc Gonzalez, making his first race appearance in the UK this weekend after agreeing a late deal with Chipping Norton’s SWR last week to fill the squad’s third seat, impressed with a best finish of 11th place in his maiden race, round 10. Team-mate Zubair Hoque, meanwhile, had a steady weekend with a best of 13th position coming in round 12 on Sunday afternoon. “Jordan had a couple of chances to be on the podium but it didn’t work out unfortunately”, said team owner Sean Walkinshaw, “In the last race he had a coming together with [Harri] Newey and there was nothing he could do, the possibility was there to take a very good result. Zubair took some more points and put in some steady drives, so it wasn’t a bad weekend for him either. 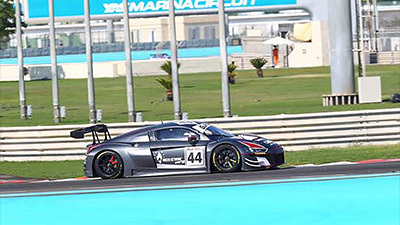 During a red flag interrupted qualifying on Saturday, Albert emerged as the fastest of the SWR trio but had to settle for 12th on the grid for race one after his best lap was removed when officials deemed him to have exceeded track limits. Hoque ended up just behind Albert with 13th while Gonzalez qualified 17th quickest on his debut – despite having a time removed for track limits. Several tangles occurred on the opening lap of round 10 but all three SWR racers avoided being caught-up in the chaos with Hoque impressively making the best of the first tour to leap into seventh position, with Albert gaining ground in 10th and Gonzalez in 16th position. Despite being nudged back to 11th soon after, Albert mounted a spirited fightback and with strong pace he began to carve his way up the order. Into the top eight by lap six, the category race winner was into sixth place a lap later, ahead of Hoque, and on the ninth and penultimate lap Albert sliced past Sisa Ngebulana to claim fifth. His best lap time was just 0.3 seconds shy of podium pace. Hoque’s strong opening to the race unfortunately came to nothing on lap eight when he was forced into retirement with a punctured rear tyre. From seventh after lap one, he was edged back to eighth and remained there until Albert went by on lap six before his unfortunate non-finish. Rookie Gonzalez delivered a particularly strong account of himself during his first ever race on UK soil. After moving into 16th on lap one, the Spaniard held position until a lap six shake-up when he gained two further places. Then, with three laps to go, he leapt into the top 12 where he stayed to the flag before being elevated into 11th post-race as a result of a penalty for Ngebulana. In round 11 on Sunday morning, Albert was close to claiming his second victory of the season but a drying track, after earlier rain, worked against the Englishman during the closing stages as those gambling on slick Pirelli tyres reaped the benefits. With SWR and its drivers opting to take the safer option with treaded wet-weather rubber, Albert made a superb start from fourth on the grid to take the lead which he held until the start of the third tour when he was nudged back to second place at Riches. 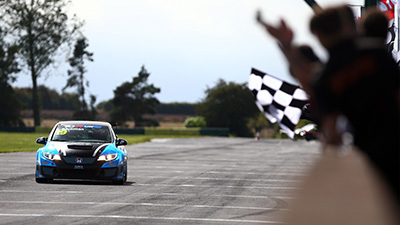 Maintaining position with a substantial advantage of several seconds past mid-distance, a podium result certainly looked possible but as the track became more favoured to those on slicks Albert was eventually pushed back to fifth at the finish. Gonzalez, starting in 11th position, was bundled back to 17th position on the opening lap – his first experience of wet-weather driving in BRDC F4 – but hopes of climbing back up the order went awry on lap four when a mechanical problem resulted in retirement. From 17th on the grid after his race one dramas, Hoque moved up into 16th place on the first lap and gained two more positions on the second tour to claim 14th spot. Although elbowed back to 16th again by lap five, he quickly hit back and eventually ended the 10 lap contest in 14th place. Unfortunately for Albert, hopes of a podium challenge from fourth on the grid in the rain-hit final race of the weekend went begging on lap one when contact with Harri Newey resulted in broken steering, leading to retirement at Nelson. Hoque, meanwhile, climbed up from 11th at the start into the top 10 and was ninth heading into lap three but he was ultimately edged back to 13th position before the chequered flag. For Gonzalez, the wet race was another huge challenge but he managed to post the second finish of his debut weekend with 18th place. 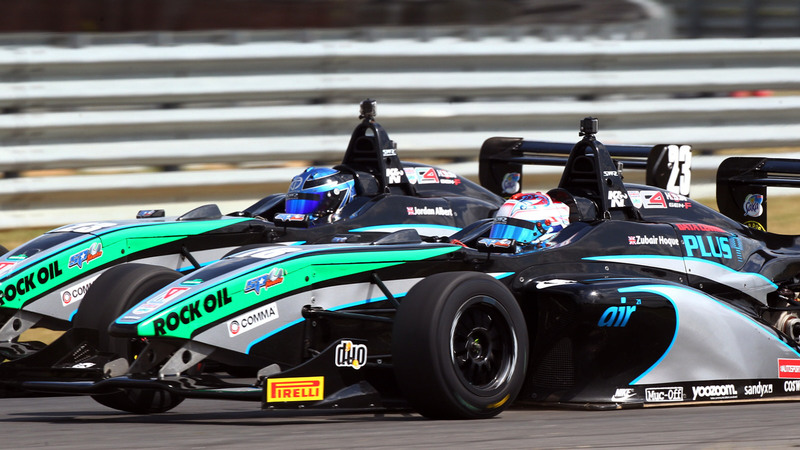 Brands Hatch Grand Prix Circuit in Kent will host the next three rounds of the Duo BRDC Formula 4 Championship season over the weekend 1st/2nd August.